The development of Seasons began six months ago. And even six months is a long journey for a tiny studio like Swing Swing Submarine. This week, we want to share the evolution of Seasons’ art direction with you, since the first drafts on paper until now. 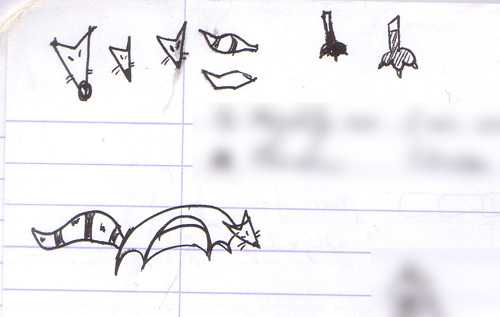 Let’s start with the very early drafts William made before we started working on the game full time. But be careful : the following pictures could make your eyes bleed. This drawing is the very first draft I made when we decided that our principal character would be a red fox. I was really excited and ran outside to bought paper and soft pastels (which I never used before). 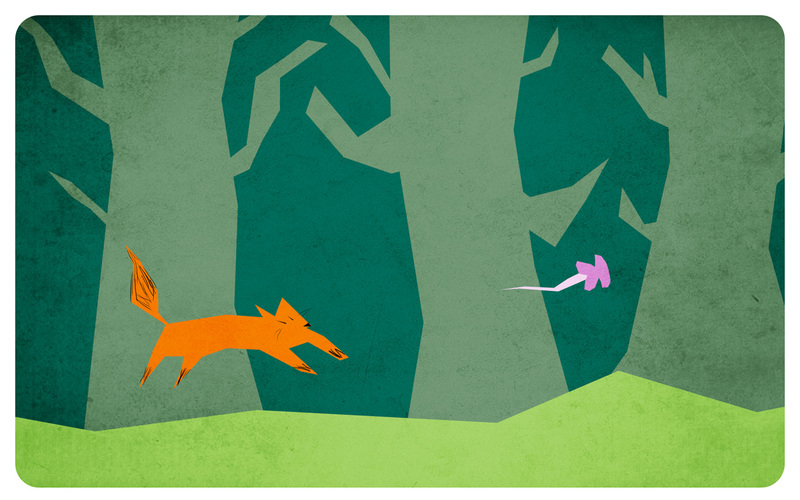 I wanted to create “a red lightning running through the forest”. When I totally screwed the ground colors, and realised that I had a lot of pastels on my face, I decided to stop drawing and closed the pastels box forever. 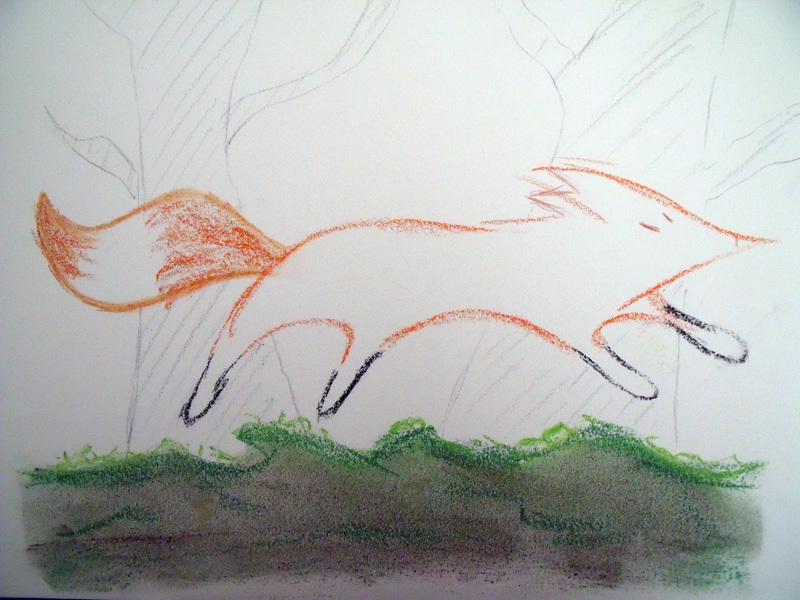 If I want to know how to draw a fox with few colors and lines, maybe the best thing to do is just to try. As I was making this picture, I thought this style could totally be a potential illustration for a child book, or a tale. But even if I liked the style, it was really too flat : that’s why I added this paper texture on it. Next time, more interesting illustrations to see : you’ll discover how Gaël and Samuel helped us find our graphical style and how we failed to find an artist to work with. hello! i am making a collection of spontaneous drawings and doodles. if you have some that you think would be appropriate for my site, i would be glad to share them with the compulsive drawing community. thank you! lovely work. Some fantastic art here. I love your content.